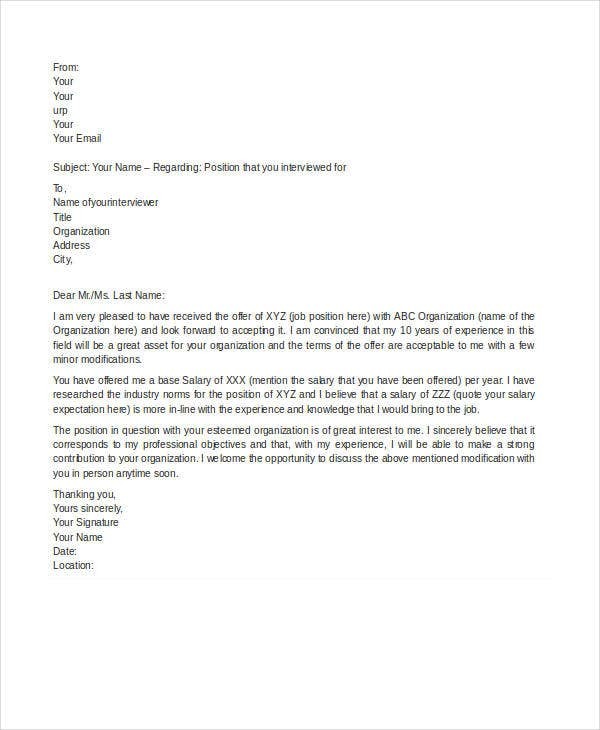 A counter offer letter is the document sent by an applicant who have received a job offer from his or her prospective employer but is not satisfied with the items that are included in the specific offer letter. 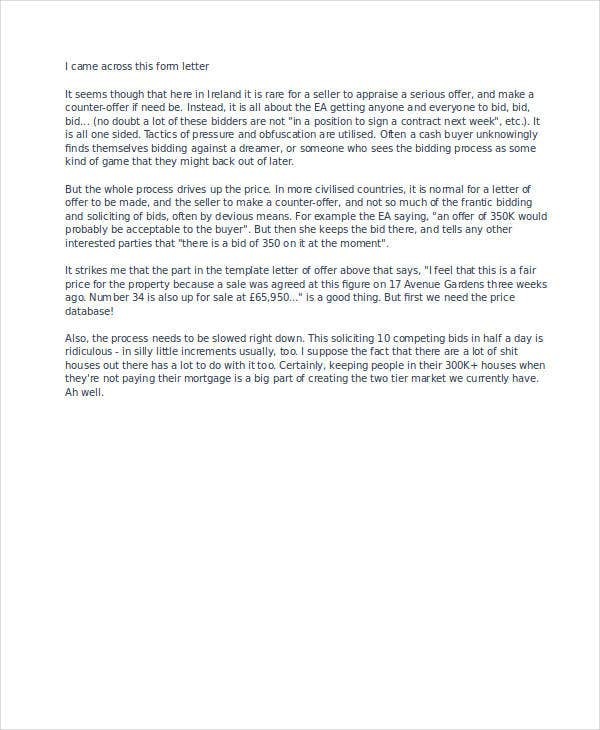 Counter offer letters are applicable to be done if you think that your quality of work and the value that you can add up to the company is above par the offer inclusions being given to you. 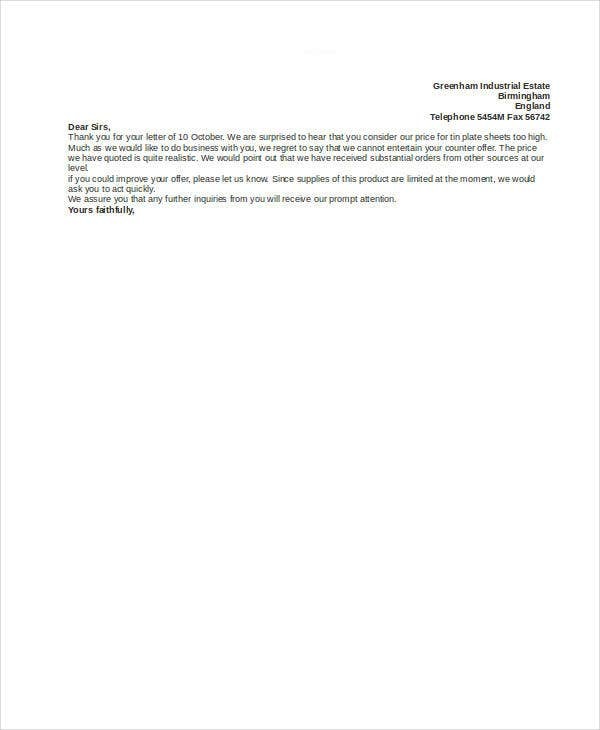 We can give you samples of counter offer letter templates should you be needing samples in creating this kind of document. Other than that, we also have different Letter Template samples, which you may use as references in creating various kinds of letters used in different purposes and functions. The salary that the applicant is currently or previously getting from his or her current/past employer is higher than what is being offered by the company where he or she is applying for a new job post. The salary offer may be deemed too low when compared to the amount of workload that is given to the applicant by the company. There are job positions that require overtimes and a lot of devotion, which is the reason why people who are hired in these professional positions must be given considerations in terms of the salary that they were expecting. The qualifications of the applicant require a higher salary compared to other people who have handled the same job. Though the same job functions will be done, the results may vary depending on the effectiveness and productivity of the person who will be hired by the company. 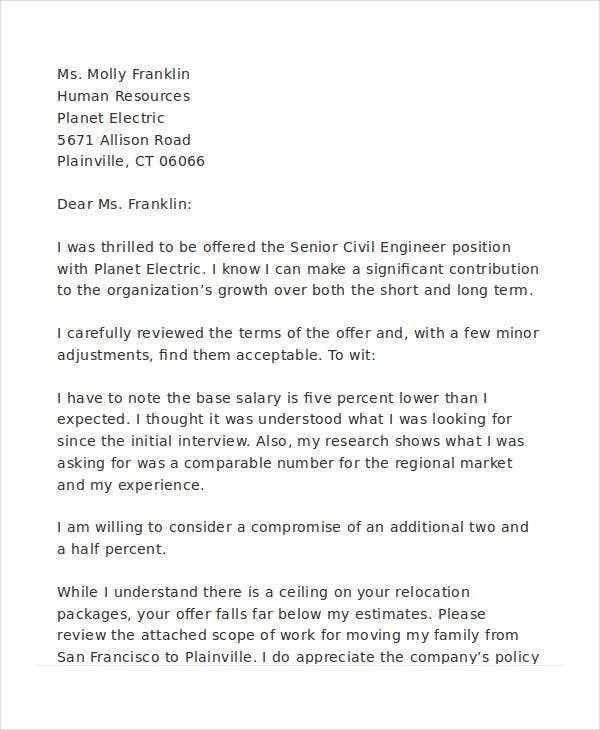 The salary offer is considered low compared to industry standards and other salary offers of businesses in the same field and operations. 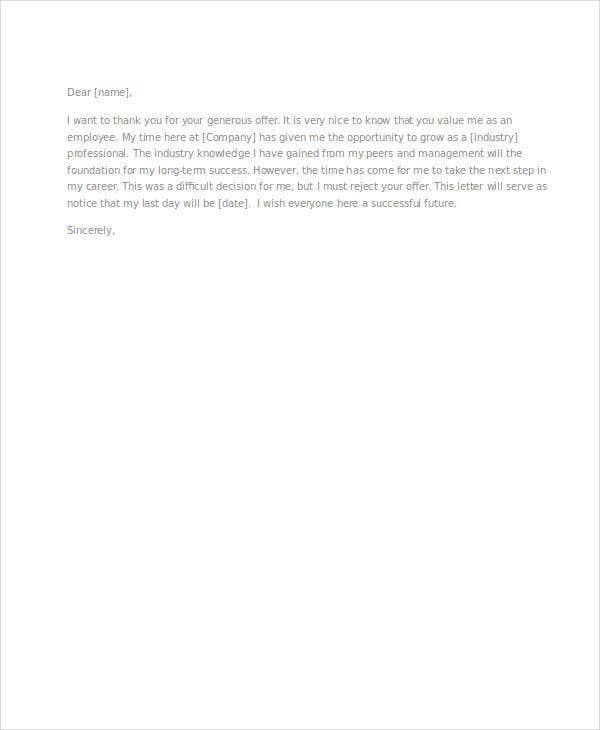 Aside from our counter offer letter templates, you may also be interested to browse through our Proposal Letter Template samples. 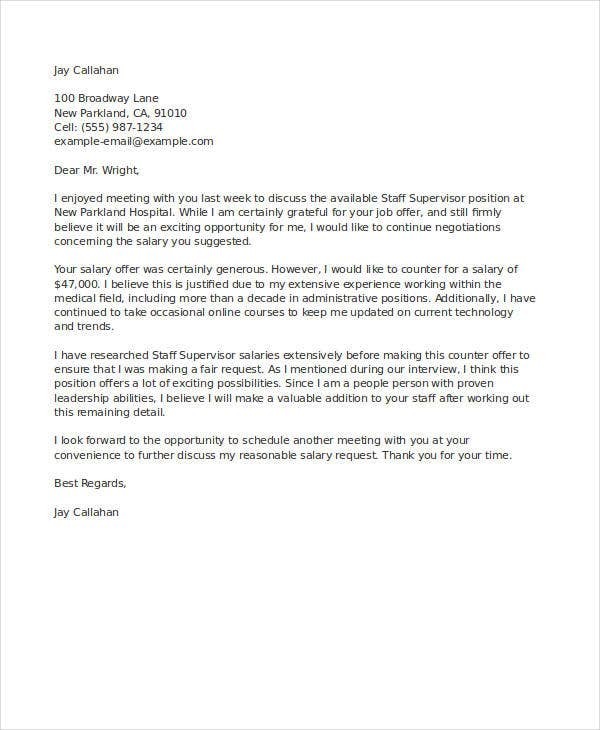 Aside from issues regarding salary offer, a counter offer letter may also be sent by the employee to his or her prospective employer if certain adjustments are requested to be done regarding the job functions of the work position being offered. There are too many job functions that are included in a specific job position where it is very evident that the employer wants to fully maximize the skills and the services that can be provided and delivered by an individual. 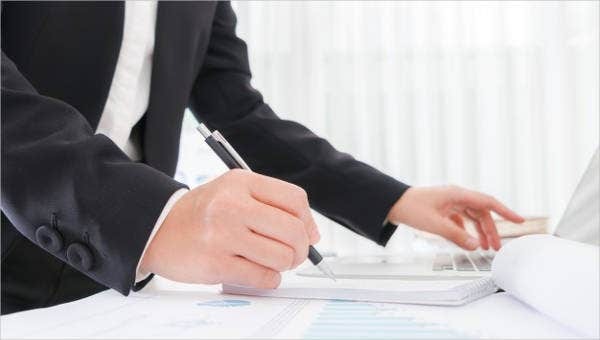 Based on industry standards, the work functions for a specific operational activity included in the offer should not be a part of the items that the applicant to whom the letter is for should provide. The job position being offered is not the job position that the applicant applied for. The actual job description of the work position is different from what is written in the job hiring ad placements of the company. The job description of the specific position is different from what the applicant has expected. 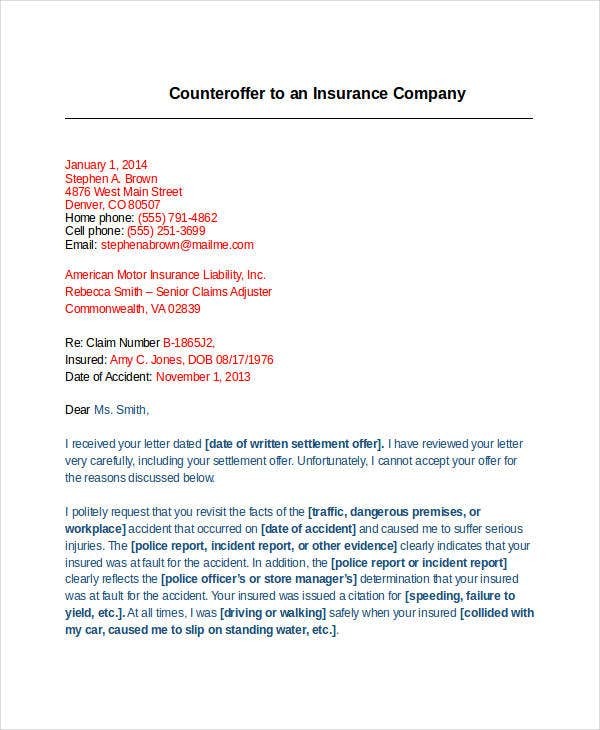 Aside from our counter offer letter templates, you may also browse through our downloadable Offer Letter Template samples.